Jiyeon at the filming location for Day By Day music video. I don’t like her blonde hair style, but she looks so hot in this picture. Btw, the photographer totally screwed up the date setting lol, it’s still June. Hyomin’s Twitter update – taking some snacks (tteokbokki & sundae) with Jiyeon while having their hair done. Hyomin is dying her hair red while Jiyeon turning into a blonde to film their Day By Day Korean comeback MV. Boram’s Twitter update on 120612. Sometimes it feels like Boram is the maknae instead of Jiyeon. The later will soon not be the youngest in the group with addition of the new members. Jiyeon celebrates her 19th (or 20th in Korean) birthday today. 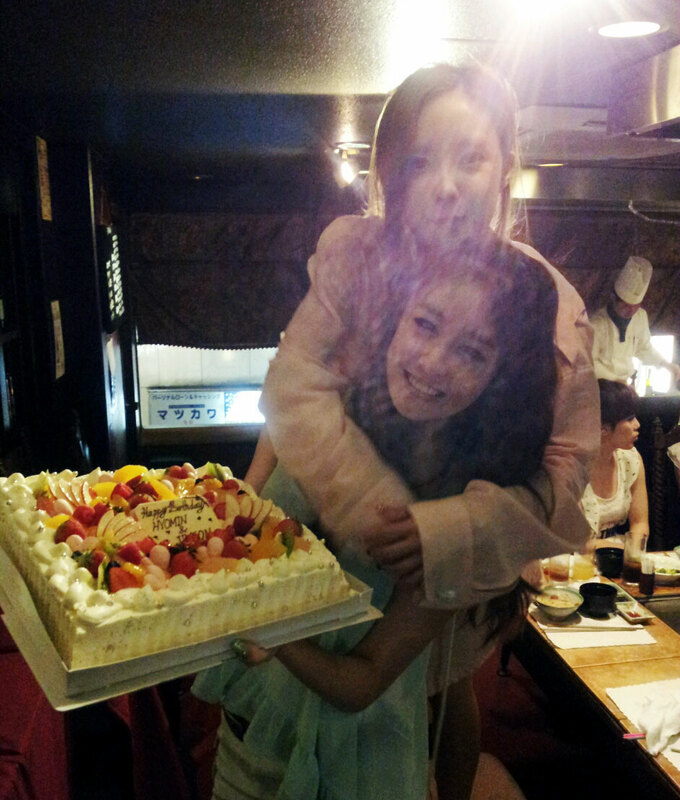 A party was held for Jiyeon and also Hyomin who had her birthday last week. Happy birthday!!! Jiyeon’s Twitter update on 120516 – a photo when she was shooting the album jacket for Jewelry Box Japanese album. Translated by @diademtweets: In the middle of filming for our Japan jacket shoot~ There’s not that much time left before our Japanese tour.. please wait a little bit!